The templates on site make it super easy, and quick, to create images for use both online and off. As all designs created are saved to the site, it also makes it easy it keep branding on track. They have templates for pretty much everything, but also give you the option of using custom dimensions. Not only is it my go to creation tool for images for blog posts, and social media, but they also offer awesome customer service. Here's a look at how things went when I was greeted by an error message on site on Tuesday this week. My first reaction was to panic. I had planned on creating graphics for upcoming blog posts both here at www.JoLinsdell.com and for my other sites www.WritersAndAuthors.info and www.PromoDay.net. 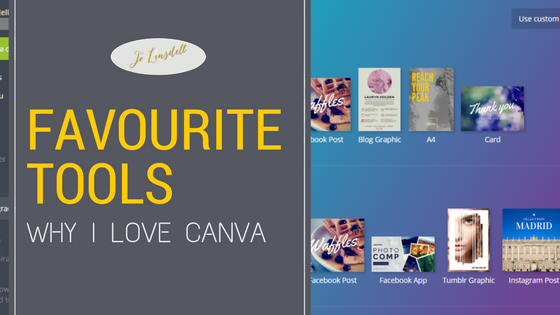 As I mentioned above, Canva is a site I use on a daily basis. 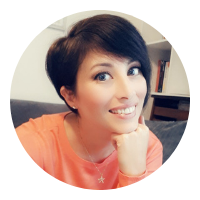 Once I'd refreshed the page about a million times (OK I may be exaggerating just a tad but it was a lot), I decided to reach out on Twitter. That's when I received a tweet from them telling me they were fixing the problem. I then received another tweet from them that proved that not only are they quick to reply and resolve problems, but also put a personal touch when they do to make their clients feel special. So if you're looking for a site to use to create visual content to use for your blog, or social media posts, I highly recommend using Canva.